The Dunlop Fort All Court tennis balls are perfect for all levels of play on all court surfaces and feature the Fluoro Cloth hi-vis finish. The balls are ITF (International Tennis Federation) approved and fitted with the Dunlop HD core technology for enhanced durability and better visibility. They come in a 4 ball tube. 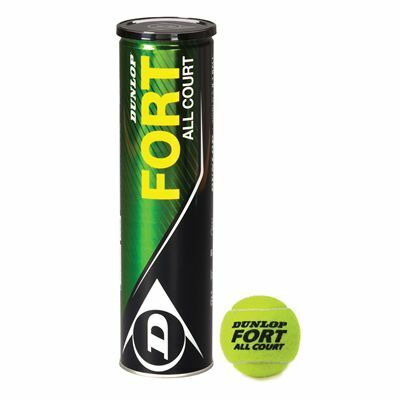 for submitting product review about Dunlop Fort All Court Tennis Balls (4 Ball Can).